 Our Juice Cleanses and other healthy products are available for delivery in the Sydney, Wollongong, Melbourne and Adelaide metro areas as well as the Coastal Illawarra region. They are also available for pickup in any of our stores. Once an order is placed, we’ll contact you to arrange a convenient delivery or in-store pickup date. We require a minimum of 24-48 business hours’ notice for both pickups and delivery. Due to the perishability of our products, you MUST start on the day you pick it up / it is delivered, or on the morning after. If you choose to start it later then please note that some of your products may be expired by the time you consume them. A 1 or 3 day cleanse requires a single delivery. A 5 day cleanse requires two deliveries and a 7 or 9 day cleanse requires three deliveries. The shopping cart will calculate this for you automatically. If multiple cleanses or products are ordered at the same time, we will deliver them together. If you require them to be delivered separately you must create separate orders for each one. If you wish to have your cleanse or products delivered at a particular time or outside of these hours, please contact us and we will do our best to accommodate this. **PUBLIC HOLIDAYS** – We do not deliver on public holidays, we generally deliver the day before or after. If this might affect you we will contact you regarding any delivery date changes. Please ensure you refrigerate your products as soon as they are delivered. If you’re not home at the time of delivery, we will leave your products and an ice pack inside a cool bag at your house at your own risk. The products are raw and unpasteurised and must be kept cool. The supplied cool bag and ice pack will help to keep the products cool for up to 6 hours. Please ensure the products are refrigerated as soon as possible. If you wish to change the delivery address or date, we require at least 1 days’ notice. Our drivers use a tracking service so that you can see roughly when they will arrive at the delivery address. We will send you notifications by SMS and email with the delivery and tracking information when we are on the way to you. In-store pick up is free and will require you to pick up from the store you chose at checkout and at the arranged date and time. If you’re picking up in store and have ordered a cleanse lasting more than 3 days, you should collect your products every 2 – 3 days. If you wish to change the pickup location, date or time, we require at least 1 days’ notice. Your products are usually prepared the day of your arrival so that they have a chance to cool before you collect them. If your products have been made and you do not collect them at the arrange time, we will not remake them. Try to pick them up as soon as possible and remember that they have a 3 day shelf life some of your products may be expired by the time you consume them. If you’d like someone else to pick-up the products on your behalf, please contact us first. Most cleanses contain many products per day, so please note that they are quite heavy. If you’re going to pick them up from the store, we recommended having a car close by or asking a friend to help carry them. If you’re not sure you can manage, we can always deliver them to your work or home for a small fee. If possible use a cool box in your car to ensure the products stay cool, and refrigerate them as soon as possible. Your products should not be left unrefrigerated for more than 2 hours or left in the car in conditions where they are exposed to heat, so plan your collection such that you go straight home afterwards, or aren't too far from home after picking them up. If you arrive at the store without arranging a pickup date or time, you with either have to wait for some time for the products to be prepared, or depending on how busy the store is, come back another day. Our produce is ordered exactly as needed, and therefore all orders must be placed by 5pm the day prior to delivery or pick up. We do not offer any refunds and cancellations. Any cancellation requests MUST be sent to sales@juicedlife.com.au 48 hours prior to delivery. We do not guarantee a refund if you change your mind about your order, however will do whatever we can to assist if this situation occurs. If you’re not home at the time of delivery, we will leave your products at your house at your own risk. The products are raw and unpasteurised and must be kept cool. If you won’t be at home, please leave a cool box with ice outside and we’ll place the products inside. Please refrigerate the products as soon as possible. While we do everything within our power to ensure timely delivery, external factors like weather, traffic, freight, etc. may affect your delivery time. If you choose not to start consuming your products on the day you receive your cleanse or on the morning after, please note that some of your juices may be expired by the time you consume them.